What you need to know first: Our equipment is large and heavy. Our lifts weigh 1500 lbs + and are 10’ or more in length. Our paint booths are in large crates (most are 6’ H x 10’ L and 4’ W). Before you order it, you need to put some thought into shipping it. Here are some options. Pick up at our location in Greensboro NC. We will give you a $50 credit for picking it up and we’ll load it up for you! Please make sure you have a trailer, commercial flat-bed truck or even a rollback. (Click here to see how you can use a rollback for delivery). For a car lift or paint booth, please make sure your trailer has the weight capacity to handle it. Give us a call prior to coming and we can advise what type of trailer you will need. You will need to provide the straps to tie down your equipment. We can’t load a two-post or four-post lift into a pickup truck (it’s not safe).Tire equipment can be put into a pickup, given there is adequate space. Ship to a friend: Our normal shipping is standard LTL carrier. When we ship it LTL, you can have it delivered a local business where they have a forklift, hoist or a means to off load the equipment. You could then load it onto a trailer or vehicle that could handle the equipment. Ship to the Installer: If you plan on having it installed by someone other than yourself – see if they can arrange to have it unloaded and brought to you for installation. Ship to a local terminal: At a terminal they will load it onto a proper vehicle for you to haul to your home for installation. If you choose this option, you will need to pick up within a couple days or they will charge a storage fee for holding it. Wheel Equipment can be delivered with a lift gate. A lift gate must be added to your shipping as an additional charge (the shipping carriers charge a fee) and we must know you need one prior to shipping so we can ensure it gets put on a truck that has a lift gate. You need to let us know if it is being sent to a residential or a commercial business. LTL carriers don’t deliver to a residence so other arrangements must be made for your delivery. If you are determined to have it delivered without a way to off load, then you should consider renting a lift-hoist/forklift or even a rollback. This may be difficult to do since shipping carriers are not always reliable on showing up when you think they will. 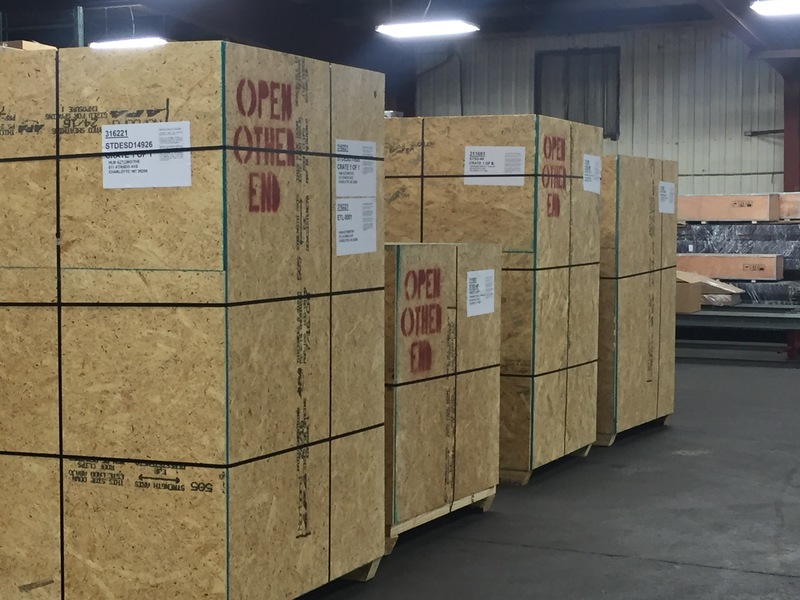 Once you know that you can get it in your shop, call us for a freight quote and we can get you headed in the right direction! Remember: Once you receive your equipment, you need to make sure to inspect it for damage. Click here to read the blog on checking your shipment before signing for it.